Our strenghts - EPO S.r.l. 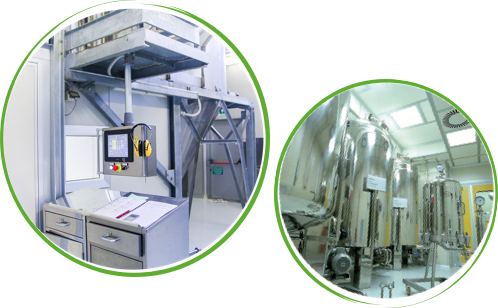 All the extracting, concentration and drying processes are studied and validated, first by the R&D department and then on industrial scale, in order to fully respect the integrity of the phytocomplex. The producting processes are carried out only with water and ethanol, that are natural solvents, of traditional use, therefore safe for human health. All production phases are based on the long expertise EPO has developed over the years and obtained by the use of cutting edge technologies, to ensure a minimum impact on the environment. Over 300 raw materials regularly reach our warehouse and are immediately sampled and quarantined. After approval by the Q.C. 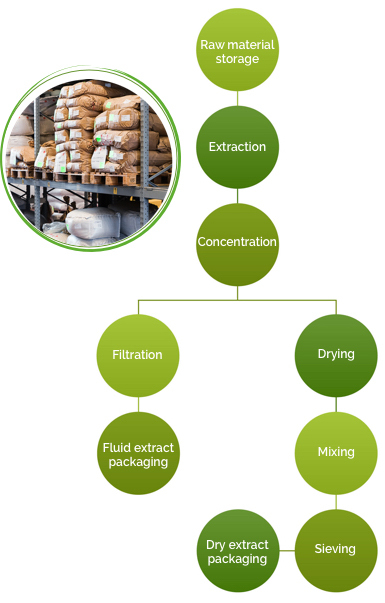 the batch can be used for the extract production. Various traditional extracting methods and solvents (such as water and ethanol) are used, always with a particular attention to human and evnironment safety. 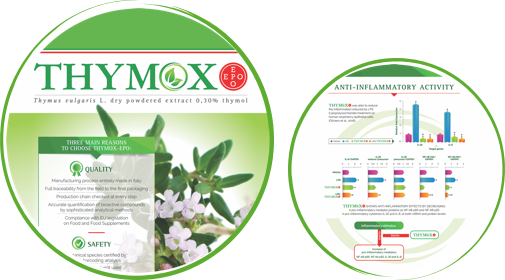 This phase is carried out by controlling temperature and pressure to ensure the phytocomplex integrity; the product thus obtained is a soft extract. After decanting, the fluid extracts are filtered to ensure stability. This is done by atomization (spray drying) or static oven, controlling temperature and pressure to ensure the phytocomplex integrity. The bulk extracts are packed into jerricans from 1 to 50 kg. The extracts are mixed with excipients to obtain the standardized finished product. 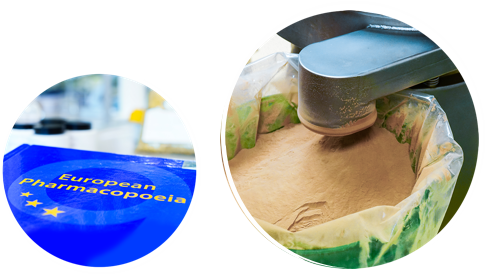 The powders are carefully sieved to guarantee a product with homogeneous and standard particle size. The bulk extracts are packed into drums from 1 to 25 kg. A selection of plants, whose traceability is guaranteed from the field to the final extract: the botanical species identification is proven through the DNA barcoding technique, in addition to the traditional methods from Eu. Ph.. The extracts are carefully tested, from actives standardization to searching chemical and microbiological contaminants. The highly qualified Q.C. staff is skilled in using sophisticated technical instruments and modern analytical methods (HPLC, GC, TLC, spectrophotometry, etc.). In accordance with the GMP, the Q.A. 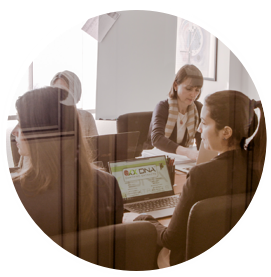 staff controls the scrupulous application of the company’s procedures to guarantee the quality system, in every phase of the product’s life and in full accordance with the quality and safety requirements previously established. In addition to routine analysis, great attention is payed to the study of all extract bioactive components, to demonstrate its safety and effectiveness. Firstly, an initial screening is carried out by R&D to control and exclude the presence of cytotoxic fractions in the extract; then, the traditional uses of the extract and plant are reviewed from available literature, and finally they are proved through in vitro and preclinical studies. For this reason, in recent years, EPO has started important collaborations with prestigious Italian Universities. EPO’s strong points are: a wide range of products, the availability to produce tailor-made extracts on client’s request by R&D and the efficiency of our customer service, assured by a dynamic and flexible sales department. Satisfaction of customers is EPO’s main goal; the level of service guaranteed by our company ranges from the receipt of the order to the delivery, followed by a proactive after-sales customer assistance. All EPO’s products are sold along with a clear and rigorous scientific documentation. Our production procedures comply with pharmaceutical standards: EPO is in fact registered as Pharmaceutical Factory by the Italian Ministry of Health with authorization to produce herbal extracts. EPO is certified according to ISO 9001-2015, GMP and 21CFR111-GMP for dietary supplements, Kosher and Organic. Compliance with the most important international standards represents an important recognition of the quality and safety of EPO extracts.